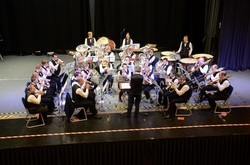 The City of Bristol Brass Band is a registered Charity, number 1152249. Please use the links below to help us raise money to keep the Band running successfully. easyfundraising.org.uk is a great way to raise money for us just by shopping online. You don’t pay anything extra. Simply register with easyfundraising use their portal to do your shopping as normal. We will receive a percentage of your order at no cost to you. Virgin Money Giving is an easy way to make a single or monthly donation. Follow the link to their webpage and click the buttons to support us. They will also claim Gift Aid on our behalf if you are a UK taxpayer (that's an extra 20% at no extra cost to you! ).